It is sad to report that many in America including most churches think that an Islamic Mosque is just a house of worship for the Muslim believers. This thinking is very dangerous and naive. A Mosque might have some religious element, but it is mainly a base of political operation. One must look at the first Mosque in Islamic history that was founded by the Islamic prophet Muhammad in Medina, Saudi Arabia. 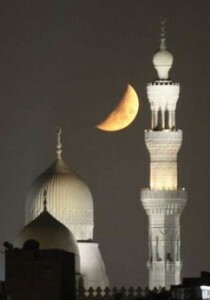 Islamic teaching teaches that planet Earth is a Mosque, infidels (non Muslims) have defiled this Mosque (Earth). Therefore, it is the duty of every Muslim to purge this Earth from the infidels. A Mosque is also a base where to launch military operations like what the U.S. Marines experience during the battle of Fallujah. The U.S. hit a Fallujah Mosque where Al-Qaeda and Iraqi insurgents were shooting at the Marine. This has shown to be true for a Dearbone, MI. Mosque leader who in English preaches peace, but in the Mosque preaches jihad. This Imam had a shootout with FBI agents in Oct 2009. 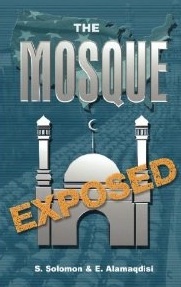 Middle East Forum has put out a great study and published its finding to the Shari’ah and violence in American Mosques Americans need to know that eight years ago 81% of Muslims surveyed in the Detroit area agreed with the statement that sharia law should be imposed in Muslim countries—including 59% who STRONGLY agreed. Andrew Bostom wrote a great article titled Mosques as Barracks in America that explains in details these radical Mosques threat to our nation. It would be to the benefit of America’s National Security to monitor what Imams (Islamic preacher) are preaching in American Mosques. It would also be advantageous to our National Security to close such Mosques and stop playing political correctness with America’s survival.